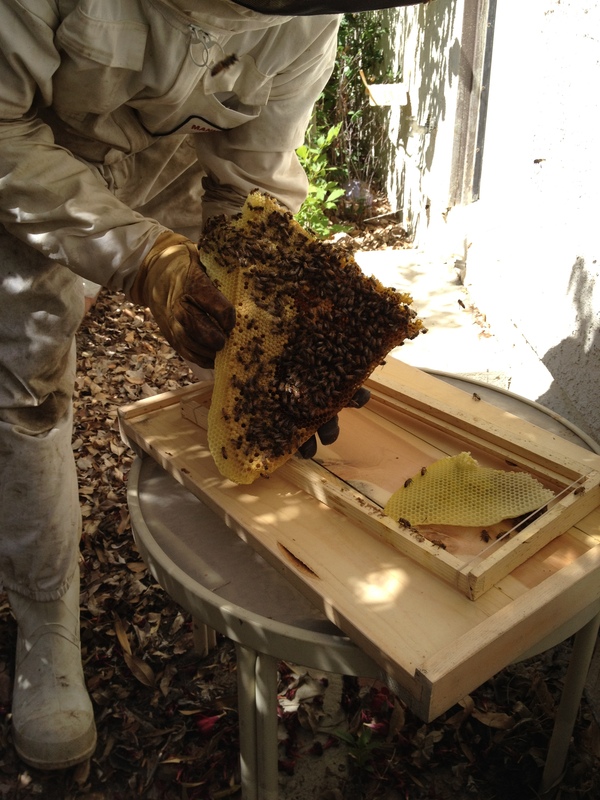 Organibees did a great bee rescue for a business at Bergamot Station in Santa Monica last week. 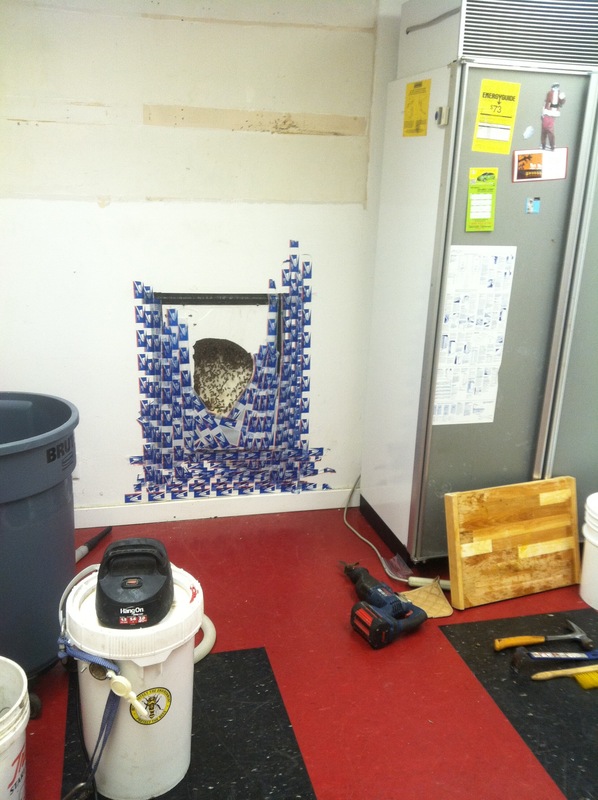 Bees were living inside the wall, and the business owners had created a little viewing station by putting plexiglass over the hive entrance. This rescue involved quite a bit of demolition as we had to remove the entire wall up to the ceiling and take out some cabinetry as well. 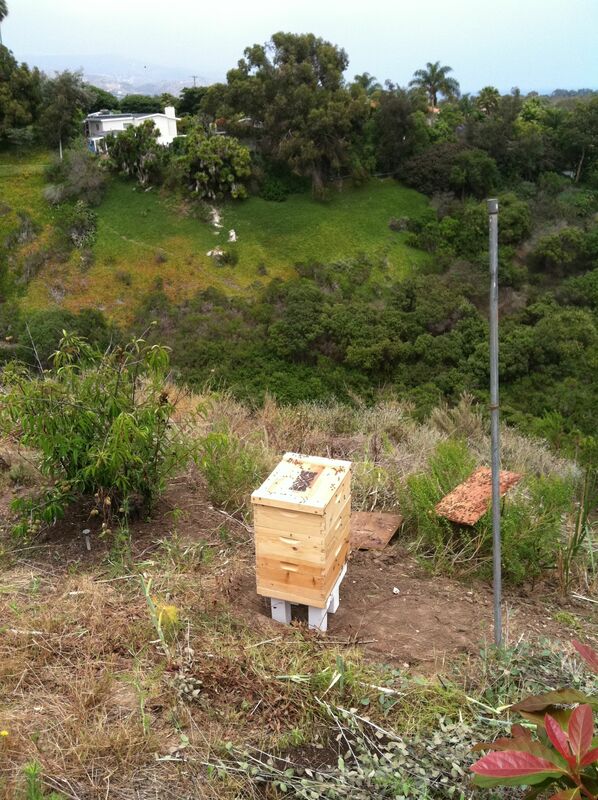 We carefully extracted the bees and relocated them to a box at a property up Latigo canyon. They are doing great! Bees sometimes get a bad rap, but unless you are allergic to bee stings, the benefits of these uniquely special creatures far outweigh the risks as they are one of the most important pollinators in the world. Oftentimes honeybees get mistaken for other types of bees or wasps that aren’t as helpful to the human race. Bee identification is not too difficult – just take a closer look and you’ll be able to tell who is buzzing around your home and garden. The common European Honeybee is fuzzy and compact, and has muted black and yellow striping. These bees are vegetarian – they are not the ones interested in your picnic, but they might want to investigate your brightly colored shirt. They spend most of their time gathering pollen from flowers and are the world’s most efficient pollinators. 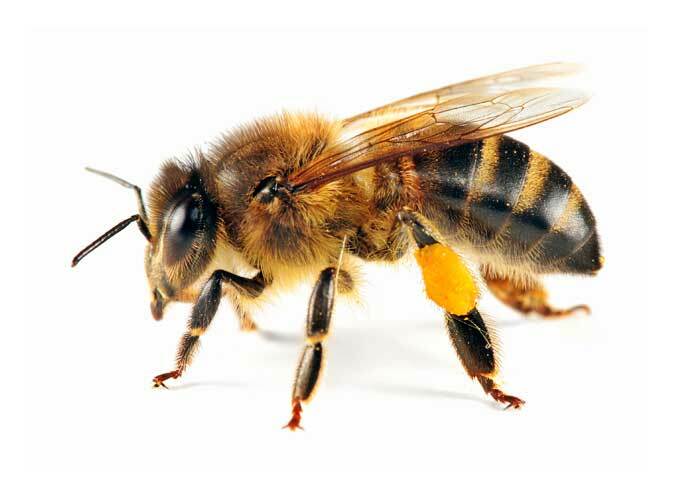 Honeybees have only one sting and once they use it they die, so they would rather fly away than sting you, although they will typically try to sting if cornered or threatened. 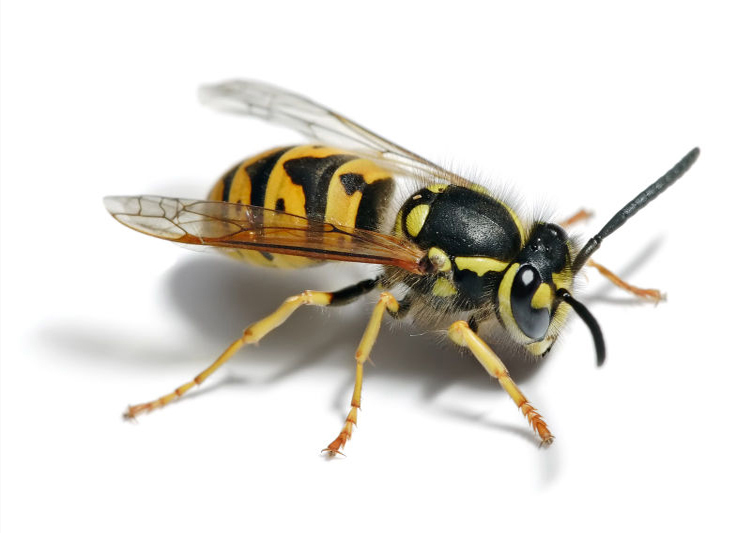 Yellow jackets are most often confused with honeybees but they are much different and are actually a type of wasp. Their bodies are smooth and shiny and their black and yellow stripes are much brighter than honeybees. They eat other insects and fruit and are attracted to meaty and sugary odors. These guys are the ones buzzing around your picnic. They also sometimes hang around honeybee hives and try to steal honey. Unlike the honeybee, yellow jackets are often aggressive and can sting multiple times. Bumblebees and Carpenter bees are much larger than honeybees. 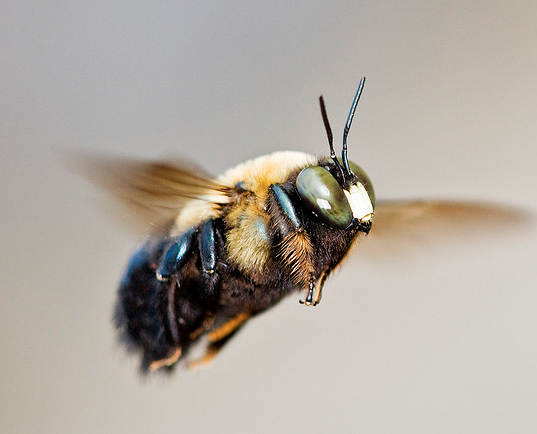 The Carpenter bee has a shiny black bottom and the bumblebee has a furry, striped one. Carpenter bees like to nest in dead wood, hence their name. Bumblebees can sting multiple times but are usually even less aggressive than honeybees. Drone (male) carpenter bees don’t even have a stinger, and getting stung by a female is quite unlikely and generally very mild. 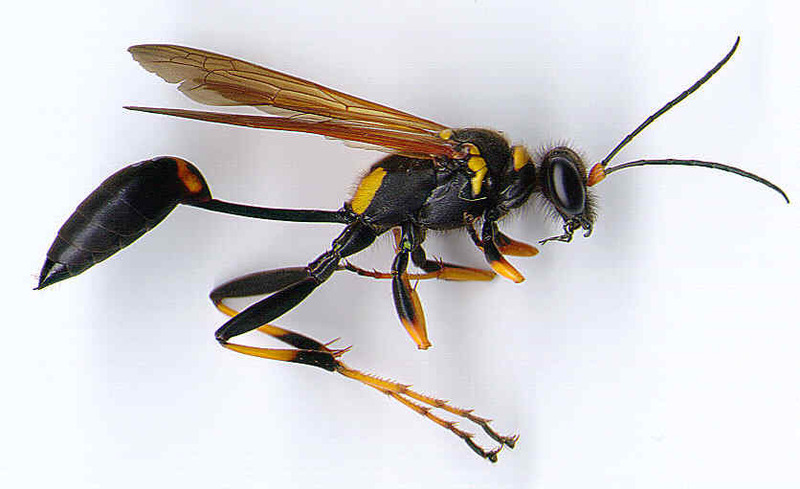 While there are several types of wasps, most have smooth, shiny bodies and are more compact than bees. They often have longer legs and tiny waists. Most of them eat other insects or bugs like caterpillars. If you come across a hornet nest in your home or garden don’t try to move it. They will become very aggressive when disturbed and can sting a hundred of times each when threatened. 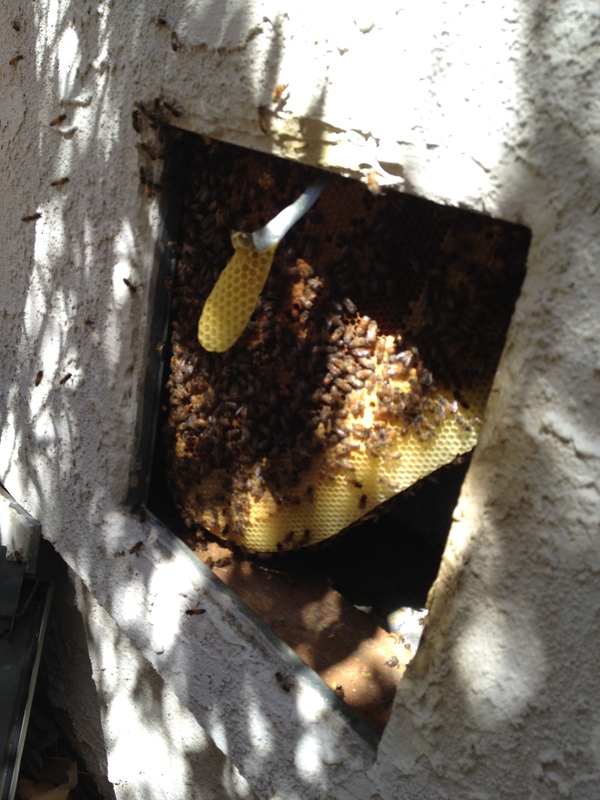 Recently we performed a multi-day bee rescue in Malibu where bees had taken over the entire floor of an outdoor sauna. The homeowners wanted to keep the bees, so we removed the bees from beneath the sauna floor, placed them into boxes, and found a perfect location on the property for them. They are doing well and are happy in their new home. We did an awesome bee rescue last week out at a home in Chatsworth. These bees had been living inside the plumbing access panel of the house for over a year. 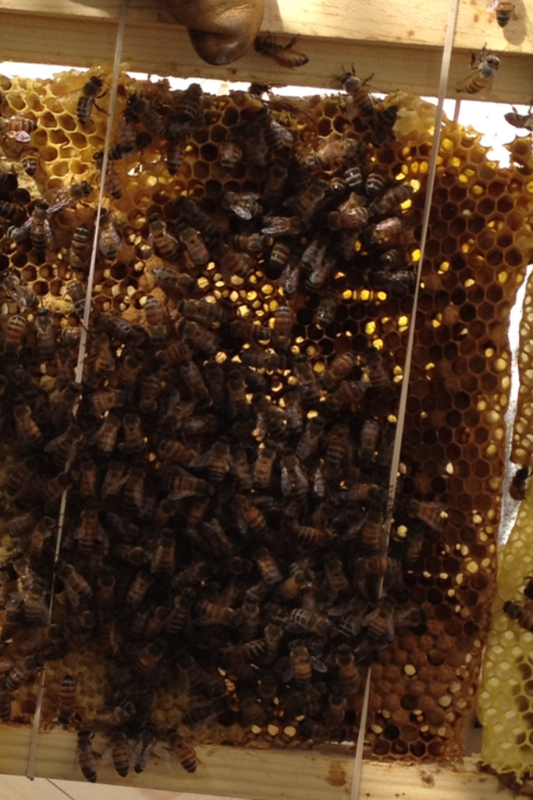 When we opened it up we found multiple layers of comb and a bunch of buzzing bees. We used the smoker to calm the bees and gently removed all the layers of comb and fit them into the new bee box frames. The bees are now relocated into two bee boxes on the property and are doing very well. Here’s the access panel where the bees got in. lots of bees, honey and honeycomb in that little space! 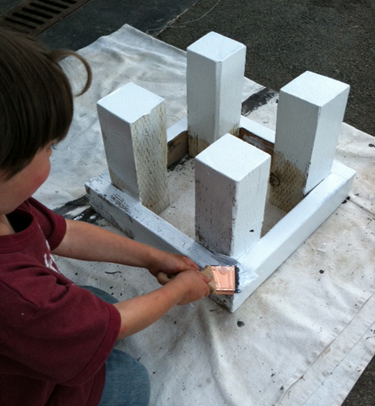 We’ve been busy building bee boxes and stands this week and everyone’s been pitching in to help, even our three year old! If you want one for your own, send us an email and we’ll put you on the list. 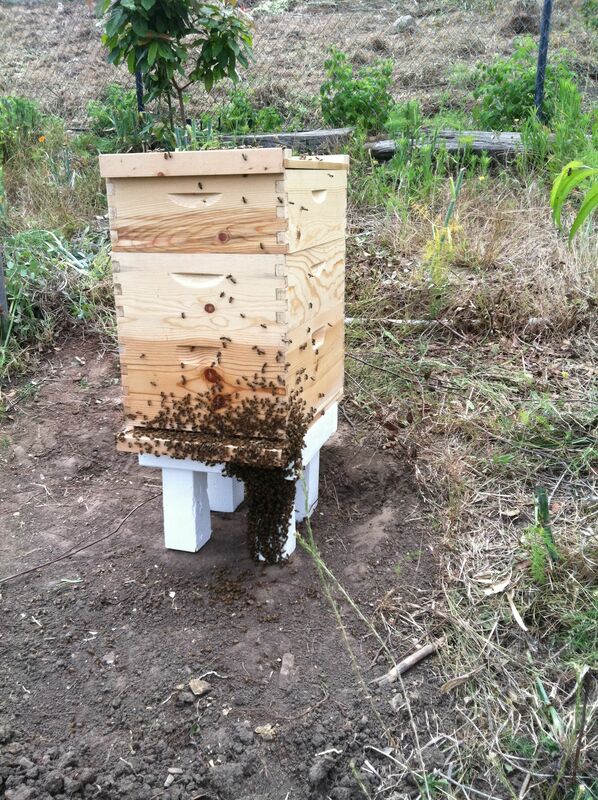 You can get a box with or without a stand, and with or without a feral hive of bees to live in it. Email Brahm for pricing and timing. Natural beekeeping methods differ from traditional or conventional beekeeping in several important ways. Natural beekeepers see themselves as partners with the bees and strive to be in tune with nature’s cycles and the larger surrounding environment. Natural beekeepers believe in the wisdom of the hive, minimal human interference and much time spent in observation of the bees. Synthetic chemicals are not used, and the bees are not fed any sugar or corn syrup solutions. 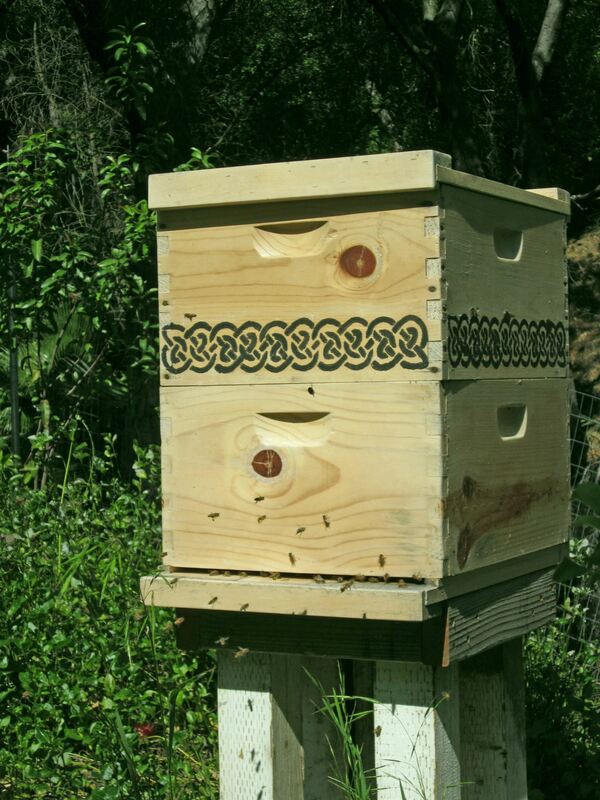 Natural beekeepers let the bees make their own combs and do not provide pre-formed foundations. Feral (or wild) bees are preferred over mail order bees as they have never been exposed to the chemicals that raised bees are brought up with. 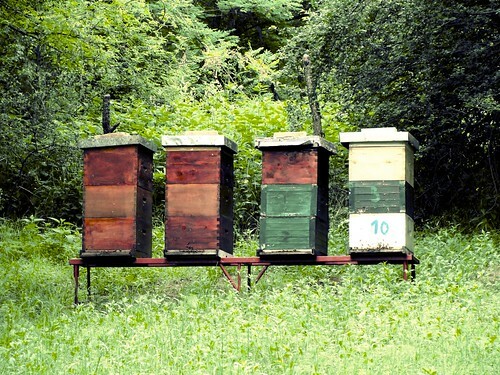 Natural beekeeping prefers the use of top bar hives which more closely mimic a natural hive. Natural beekeeping is sustainable and accessible to all, focusing on the benefits of having many small, localized apiaries instead of fewer, large scale, commercial-type beekeeping enterprises. And honey is only extracted in the warmer months when there is a surplus amount in the hive. 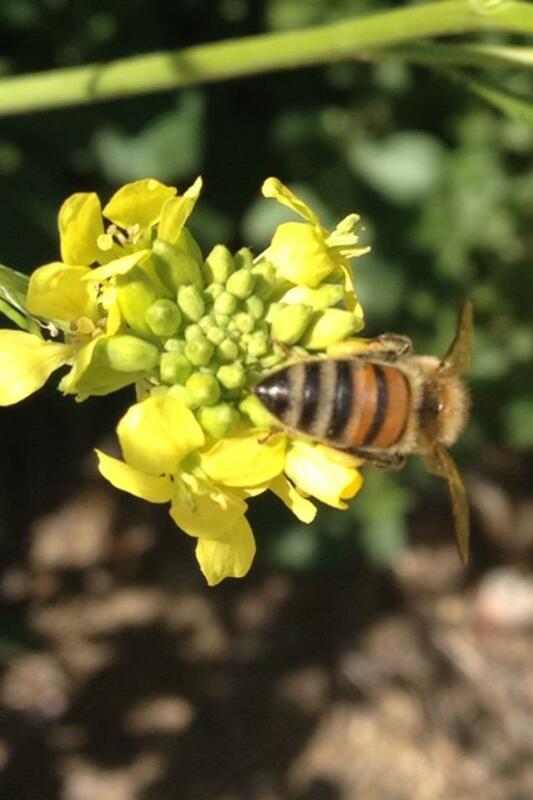 Bees are crucial for a healthy environment as well as maintaining our food supply. We have all heard that bee populations are dwindling and bees are dying. Here are a few easy things you can do to help the bees! Create a bee-friendly habitat Do not use pesticides in your garden. 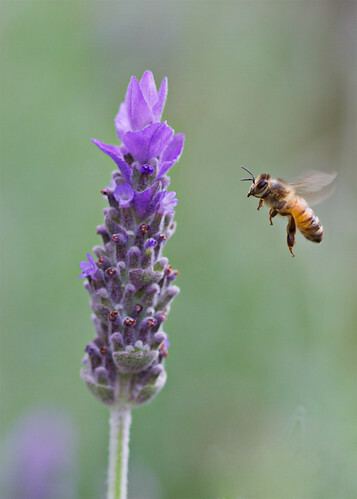 The chemicals disrupt the sensitive systems of the bees and are said to be a major reason for colony collapse disorder. Plant bee-friendly flowers. Some great easily-found choices that do great in Southern California are lavender, rosemary, nasturtium, poppy, lupin, sunflowers and geranium. Here’s a more extensive list from buzzaboutbees.com. Also, make sure there’s a fresh water source in your garden for the bees to drink – a birdbath is perfect. Buy Organic By supporting organic farmers, you are helping promote and expand bee-friendly environments and decrease the use of harmful pesticides in our environment. Get Involved Ask your state and federal lawmakers to look into the epidemic of colony collapse so more attention and resources can be directed at the problem. Urge them to support legislation that demands the EPA to ban Neonicotinoid pesticides which are some of the most toxic pesticides out there – even more more toxic than DDT, which was banned in 1972. Avoid Mass Produced Honey When buying honey, make sure to buy from a small operation or better yet, a beekeeper you know. This way, you know the bees health (and not mass profit) is the beekeepers main focus. Farmer’s markets are a great source to find this kind of sustainable honey. Keep Your Own Bees Get set up with a bee box filled with rescued feral bees and become a backyard beekeeper! It’s easy because the bees don’t need much help from us to thrive, and you will be helping to increase the honeybee population. Help Save the Bees – Sign the Petitions! We all know bee populations are dwindling. The use of pesticides is a major cause of this serious problem. Please help the bees by signing these petitions that urge the EPA to ban Neonicotinoid pesticides. These pesticides are on average 7,000 times more toxic than DDT, which was banned in 1972. This petition is sponsored by NYR Organic. This petition is targeted at Bayer shareholders. Things in the bee yard are taking shape! We currently have four hearty hives and the bees are happily buzzing away. With Spring’s arrival, the bees are getting more active and we will be responding to more rescue calls which means we’ll have more bees to place in new loving homes! If you are interested in getting set up with a hive, email Brahm and he will put you on the list. Organibees seeks to promote chemical-free and happy lives for bees. We do live bee rescue and removal without the use of any chemicals, and we find loving homes for feral bees and bee swarms. We also provide native beehive setup and maintanance to help people keep their own bees and expand the chemical-free native bee population. It is our belief that the bees know what is best for them and so we use old-fashioned, non-invasive practices to ensure our bees are healthy and happy. 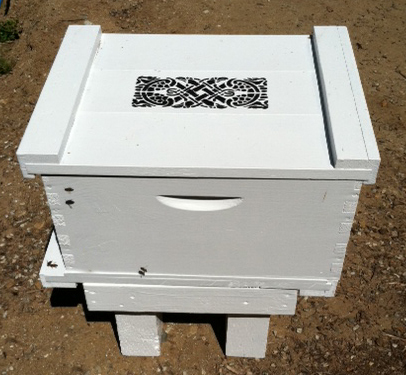 Email brahm@organibees.com if you have bees that need rescuing or if you want to get set up with your own beehives.